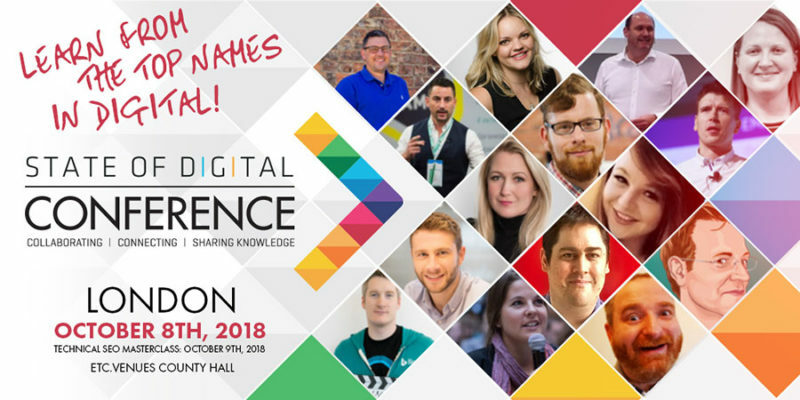 This post is coverage of the State of Digital conference that took place in London on 08 October 2018. 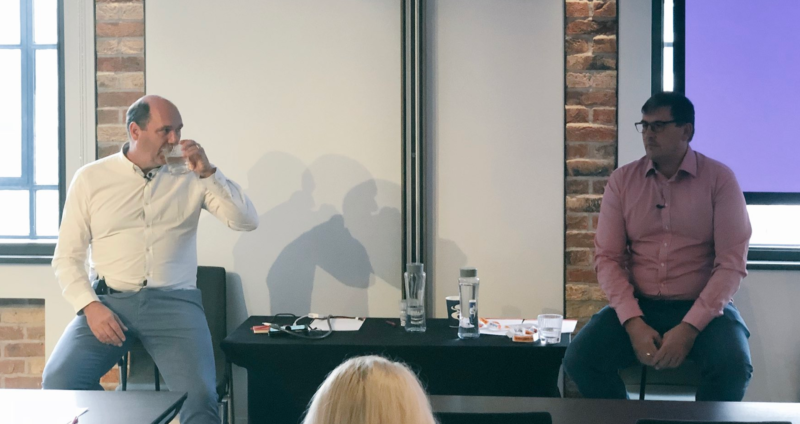 This post will be covering the “How to become an SEO Rockstar” session with Bas van der Beld, founder of State of Digital, and Dave Naylor, Founder & SEO at Bronco. Bas begins with a heart-felt introduction of Dave by saying he doesn’t even remember how long ago they met. Dave has been in the SEO industry for 21 years. In this session Bas is going to ask Dave to share his and things he has learned during his successful long career. Bas: You have always been known as a person who has been helping everybody in the industry. Has helping others helped you? Dave: Absolutely. I have always been a technical SEO. But you can’t do everything yourself. Over the years I’ve burnt more websites than I’ve created on my own and learnt new things form other people every day. I like being ‘the older father in the industry’ helping anyone I can. It feels good to look back on some of the young talent such as Lisa Myers for example, I’ve seen appear and grow to do great big things. Bas: You talk about continuous learning. But is there one thing that has not changed? Dave: I’d say technical SEO has changed the least, it feel it just matured. Google has set out the rules years ago and have been very clear about their directions. The just got better at things dealing with creative SEOs such as myself. My ethos of employing people who are smarter than me has helped a lot. I work with programmers, designers who are far more skilled in things than me. Bas: Let’s talk about your business, Bronco. Is it true that Bronco hires people just to give them a chance within the industry? And if so, when you hire these people, what do you do with them? Dave: It is true, we hire a lot of people from other industries. Normally I just shadow and nurture them. Our head of AdWords for example used to be a painter and decorator who I met when he worked on my house. I felt his personality was suited to the industry and he was interested in marketing. Bas: If you can hire people from different industries, does it mean that our job is easy? Dave: I think it is. Anybody who wants to do it, who has the desire to learn – can do it. Some types of jobs in the industry aren’t as easy. For example, there is a specific type of person that is a developer, the characteristics for developers are a little different. Bas: What would you say to in-house SEOs who are thinking about starting their own business? Dave: I’d say to anybody who is thinking about it should just do it. The hardest thing in this process is your own fear factor. The only problem I can think of for anyone starting on their own could be the cost of tools. An SEO needs many. Perhaps try to establish a friendly relationship with an agency who has the tools you need or find a client who has them, maybe you can agree some kind of partnership. Bas: With more and more people go into freelance, what do you think the future holds for the industry. It it with smaller teams or bigger agencies? Dave: Who knows. Large companies always swallow smaller agencies and individuals go to work for themselves and start smaller agencies. It is a circle. There is definitely enough space on the market for all kinds of business models. Bas: You mentioned tools can be prohibitive for someone starting up on their own. If there was one tool you could recommend they buy, which one would it be? Dave: I couldn’t do it. Different skills require different tools. SEOs needs technical crawling software, outreach teams need a completely different set of tools. Bas: When a new client comes to Bronco, what is the process of on-boarding them? Dave: First, we do a deep crawl to see how their website is indexed, and how it is configured form an SEO point of view. We ask client about what link building has been done and do our own research. Before we start we need to know what we are working with.